For the Japanese company Maruti Suzuki, Baleno is a very important launch especially after poor response for Maruti S-Cross. Maruti Baleno was first debuted at Frankfurt Motor Show and now it looks like the car would make its debut in India for this festive season. Maruti Baleno bookings have already started at NEXA showrooms by making an initial payment of Rs. 25,000. This confirms that Maruti Baleno is surely launching in India and could be the next-big-thing from Maruti. 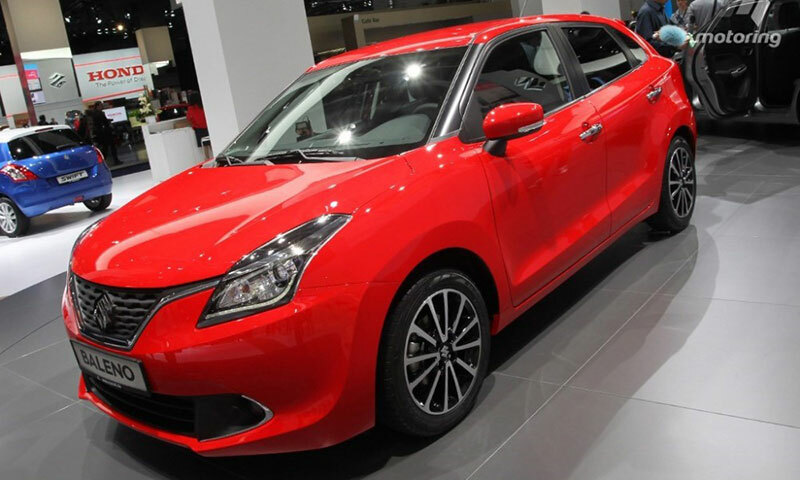 Ahead of October 26 launch, the specifications and details of Baleno are leaked. According to the leaked specifications, Maruti Baleno shall come in 2 engine flavors – petrol and diesel. Maruti Baleno’s petrol VVT engine churns out a maximum power of 84PS at 6000 rpm and a peak torque of 115 Nm at 4000 rpm. While the Baleno’s DDIS diesel engine would make 75 PS power at 4000 rpm and a maximum torque of 190 Nm at 2000 rpm. Maruti Baleno will be offered in 4 different variants according to leaked specs. If you are interested in booking Maruti Baleno, you might want to walk into nearest Nexa showroom. Let us know if you are going for Maruti Baleno when launched by commenting below.